Are you looking for a camera for vlogging that has a flip screen? Then look no further.. The following solutions are leaders in their categories and they can be perfect for any type of video recording on the go. But what makes the best vlogging camera? 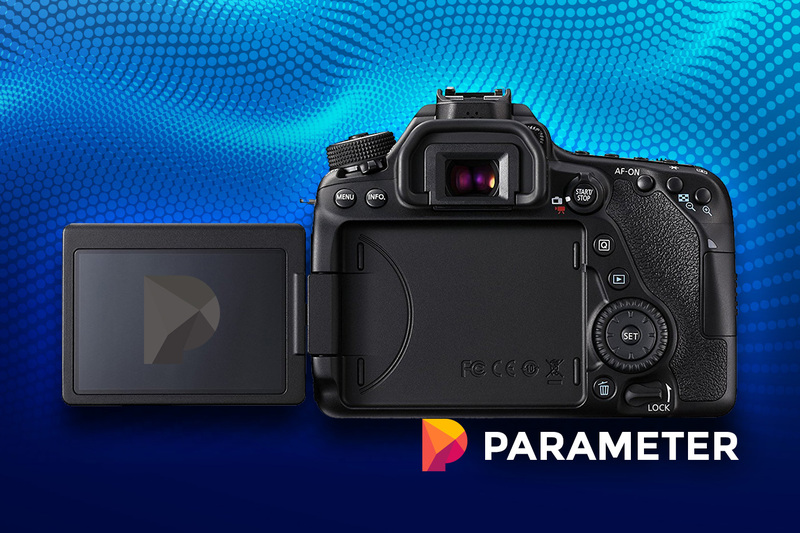 Apart from the flip screen functionality which directs these cameras towards vloggers, the image sensor and even the construction of the camera have an important role in the quality of the final video. Made popular on platforms such as YouTube, these cameras are still the number one choice for many famous vloggers. We have been putting together this indepth guide and testing all the best options for many weeks here at the Parameter HQ and have assembled a collection of 10 options we think are the best and will suit different budgets and requirements. You might also be interested in another guide we put together where we compare the top DSLR cameras for Video recording, these options might not have the flip screen option though. Take a look below where we describe each option in unbiased detail and list their pros and cons so you can make an informed choice. If you need more help, scroll to the bottom where we have a buyers guide and an FAQ section which will bring you up to speed on all the lingo and everything else you need to know. 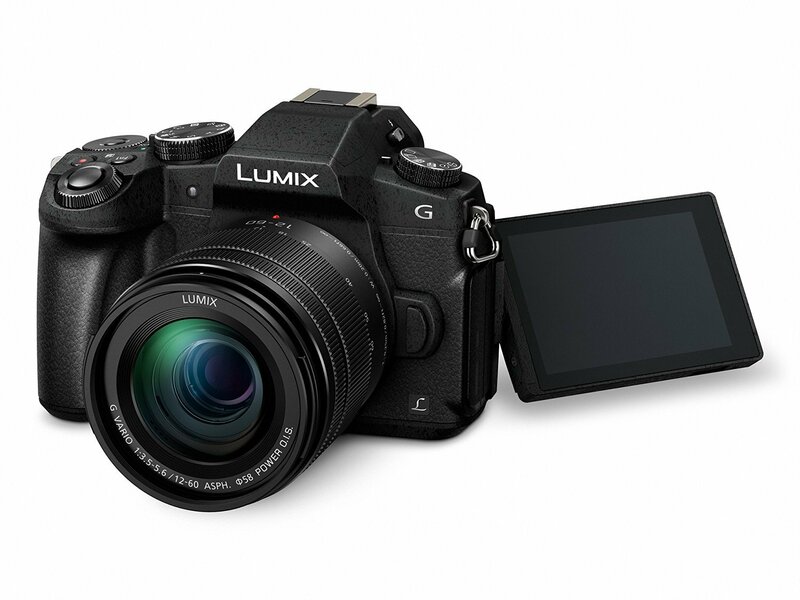 Best overall – the Panasonic Lumix DMC-LX10K comes with 4K video recording. With class-leading image stabilization, it is a top choice for many vloggers. 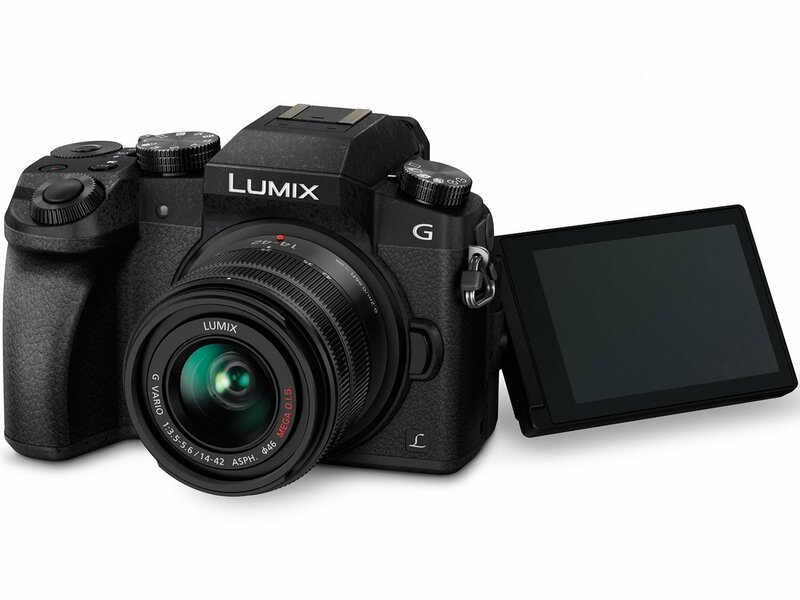 Best budget – the Panasonic Lumix G7 is one of the most affordable vlogging cameras with a flip screen and 4K video recording. Best premium – the Canon 80D is the best premium choice. It comes with 45 AF points, a powerful sensor and an impressive range of compatible lenses. Best value – the Nikon D5600 offers impressive value with unmatched low light performance. The second release of the popular G7X is still a reference in the flip screen camera vlogging world. Used by vloggers in various industries such as travel, fitness or beauty, this small camera is capable of delivering great images. Of course, this is based on a capable sensor. 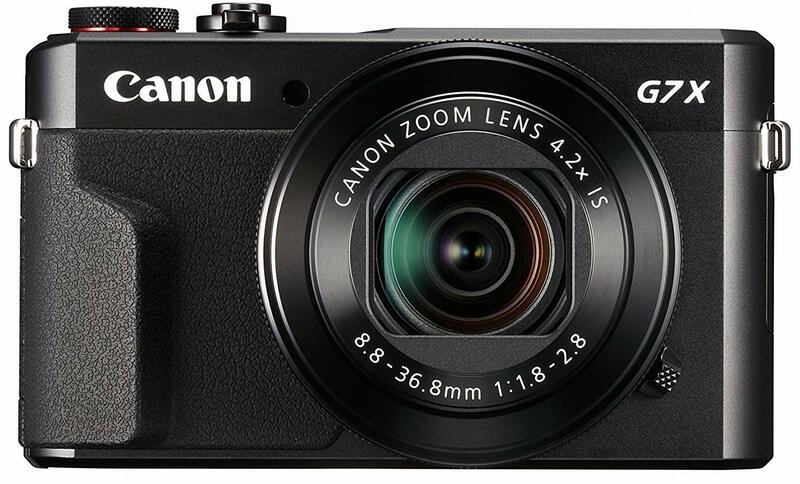 Canon used a 1-inch 20.1 Megapixel CMOS sensor on the G7X Mark II. Most importantly, the camera offers sharp videos at 1080p quality. 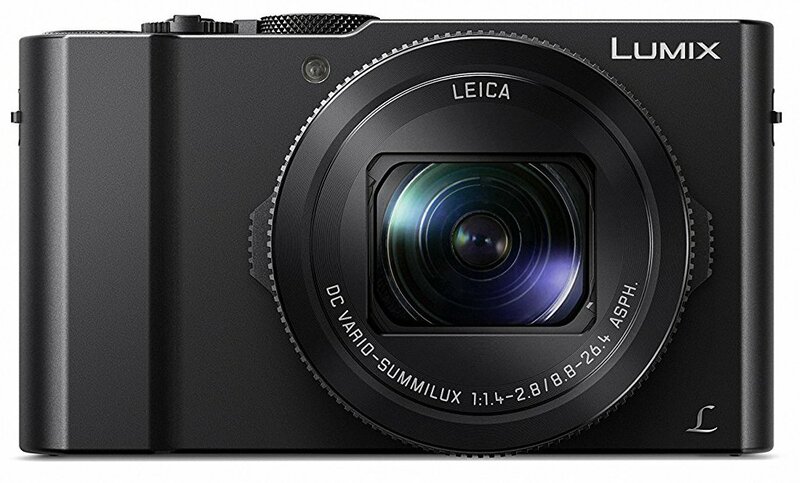 It might not be a 4k camera, but it is lauded for its compact size and great image quality. It is used by Lost LeBlanc on his highly-successful travel vlog. One of the features worth having a look apart from the great sensor is the lens. It might not be the ultimate pro-level lens, but it does a good job in various scenarios. It doesn’t have a fixed aperture. The lens has an f1.8 aperture at its wide and an f2.8 aperture when fully zoomed. For some users, it is the sharpest at its default f2 aperture. Great glass is also backed by a great LCD screen. The touch screen flips up to ensure all viewing angles are great. Vloggers can use the screen when filming themselves as a result. The large screen is also great when selecting the perfect pictures and videos to share. This functionality is added through WiFi connectivity. Post-processing fans also see some of the features as pro-orientated. For examples, the images of the G7X Mark II are stored both in RAW and in JPEG. There is enough room to maneuver when it comes to editing and still not losing too much detail when taking full advantage of the RAW files. Of course, this also means the files need extra storage capacity. A 32GB SD memory card should be enough, to begin with for most users. Often referred to as ‘The King of Compact Vlogging Cameras’, the Panasonic Lumix DMC-LX10K is very capable. It comes in a compact body indeed, but this doesn’t take away from its impressive build quality. But let’s talk about the sensor, as it’s the heart of this camera. Panasonic used a 1-inch 20 Megapixel sensor. In the vlogging world, it is known for its 4K video capabilities. With such image quality and compact size, it is on the same level as the best cameras on the market. Of course, today’s 1-inch sensors are similar in performance to older APS-C sensors. This means the images are truly remarkable. But a good sensor also needs good glass. The DMC-LX10K comes with an excellent f1.4 lens, but the aperture is not constant. However, the excellent Leica lens works great at a 7fps rate. With the 4K video capability, it comes with a considerable advantage when compared to both the Canon G7X and the G7X Mark II. But the Leica lens also comes with 5-axis optical stabilization as well. So combining the light-gathering capabilities of the lens, with the powerful sensor and the optical stabilization design, the camera is unlimited for vlogging purposes. Vloggers can also take advantage of some other advanced functionalities of the camera. For example, pictures can be taken out of the excellent 4K footage. Post-focus is another interesting feature. But even with this functionality, the focus capabilities of the camera are reliable. Of course, the camera can have some limitations for a few users. For example, it comes with no mic jack, which can be a problem when sound is of the essence. The sound is a hit or miss scenario. But in most other areas, the camera shines, especially given its size. So is it really the best vlogging camera with a flip screen? The compact Lumix camera can be an inspired choice, especially given its lower price compared to Canon alternatives. Surprisingly, its main weakness shows in low light. With no hot shoe and limited low light performance, the camera is mainly recommended for daylight recording. When it was first announced in February 2016, the Canon 80D had a lot of expectations on its back. Most of those expectations have been met and the camera is considered successful. For vloggers, the camera has an immediate appeal with its flip screen. But there is more to this camera than its practicality. Based on a 24.2 Megapixels sensor, the APS-C camera is capable of delivering fantastic images in the right hands. It doesn’t support 4K video, but it records at full HD quality at 1080p with 60fps. The autofocus system is improved as well. There are 45 cross-type autofocus points which make this camera quite reactive. However, as most APS-C cameras, it comes with a standard lens which doesn’t do justice to the sensor. With the EF-S 18-55 f 3.4-5.6 standard kit lens, the images might not be as sharp as they can be. Vloggers can easily use alternative Canon lenses. Of course, primes are great for this sensor, especially in low light. The color signs of the camera are typical to Canon. Many users abide by the colors and they consider them superior to other brands. But this is just a matter of brand preference more than about actual performance. Of course, the camera is also not the best performing in its class. Nikon alternatives score higher, especially in low light image quality and ISO performance. However, the Nikon advantage is small and it might not be worth changing brands and lenses just to get a marginally better dynamic range. But the camera can have its own unique strengths, such as good ergonomics and a practical touchscreen. Those who might have already used Canon cameras can easily make the upgrade to the 80D actually keeping their glass as well. Being a DSLR, the camera also supports an external flash. But the range of accessories is as complex as they can get, with tripods, extra batteries, lens filters, and even lens adapters. With the help of older manual focus lenses, vloggers can also take sharp pictures on a budget. When it comes to pricing, the 80D is not as affordable as other vlogging cameras. But the extra quality from the image sensor might be worth the investment. With the built-in WiFi capabilities, the 80D is as modern as a camera needs to be. It can be heavier than some alternatives, but at the same time, it also comes with improved low light performance and image quality compared to many other cameras. However, vloggers also need to consider that DSLR cameras can be more about the entire ecosystem than about the camera itself. For example, if they decide to invest in better lenses to replace the standard 18-55 glass, the better choice can be used for years and years with other Canon camera bodies even when times comes for an upgrade. At the same time, if vloggers are already using an alternative such as the Nikon D7200, they switch might not be as justifiable. Those who are new to these brands can easily choose the 80D as a top camera as even many professionals use it both for stills and videos. The Panasonic G7 is among the affordable cameras to shoot 4K video. It’s no wonders many vloggers consider it for their daily videos. With a compact size and a flip screen design, the camera has plenty of strengths to make it on any recommendations list. Before rushing to the nearest store to purchase this affordable camera, users should know that it can offer much more than most expect. With 4 knobs, functions and a swivel flip screen, the camera is more adjustable than more expensive alternatives it seems. Of course, the buttons are also adjustable to any function. The camera easily becomes even more versatile, which can be appreciated by dedicated vloggers. All these functionalities are set to make the user’s life easier. Recording quality images are based on 4K capabilities. Of course, the frames per second are not as high as with some alternative cameras. But users can still record at 30fps and even extract stills from the videos. Connectivity is something Panasonic work with attention on the camera. There are three ports hidden behind a flap. A remote shutter jack, a micro HDMI port and an AV out and digital out port are mounted on the camera. Of course, a microphone jack is also added, but on the opposite side of the camera. This makes data transfer easier and it allows users to improve sound quality by mounting their own external microphone on the camera. But all of these high-quality images need proper storage solutions. The good news is that the camera can use UHSI and UHS-II SDXC and SDHC memory cards. If these capabilities work for vlogging, the camera can also be used to capture fast-moving subjects. With an intelligent auto-focus system, the sensor tracks colors, size, and motion, which recommends the product for action images as well. Another interesting focus benefit comes with the focus peaking function. Practically, this function shows the in-focus elements of the picture which is very similar to what is seen on some pro-level cameras. As the camera is mainly aimed at the active younger generation, it can also be considered for its WiFi capabilities which allow quick data transfer to most mobile devices. The Panasonic G7 is also used professionally. Since it can handle all types of accessories such as an external flash and an external microphone, it can be used for quality images. The sharpness of the images is what easily sees the camera as a go-to option for vloggers. But most importantly, the compact camera can be similar or better in areas such as fast focus than many DSLR alternatives. With a smaller body and quick autofocus response, it becomes one of the options to consider when 4K is needed, but when the budget is limited. 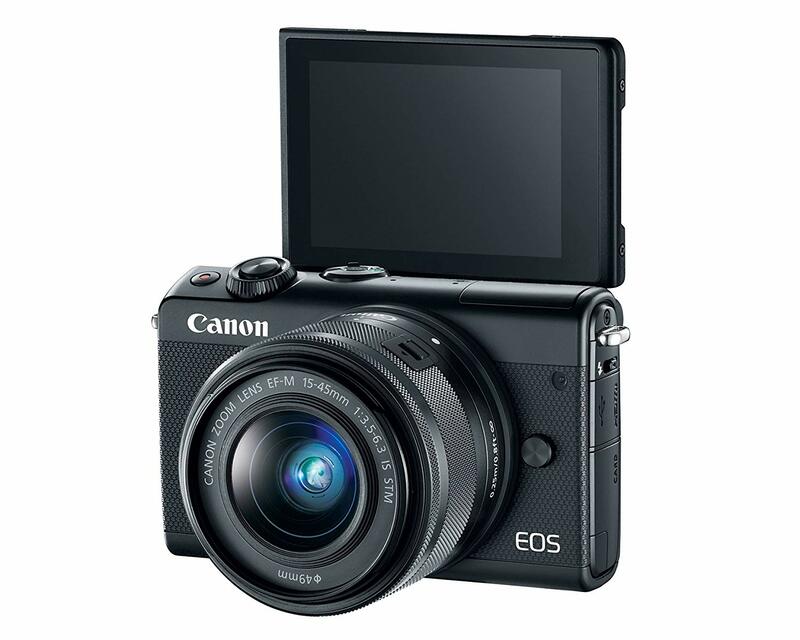 Announced in February 2017, the EOS M6 is an interesting mirrorless release from Canon. It is a capable camera at an affordable price. But at the same time, it is also one of the most underrated vlogging cameras. Made with a 24.2 Megapixel APS-C sensor, it is a true alternative to a DSLR. One of its main strengths apart from the capable sensor is its size. The camera easily fits in the palm of the hand. Vloggers can hold it with a single hand, which means they can be on the go and vlogging with no effort. The compact body is paired with a kit lens with a standard zoom range between 18 and 55mm. It can be used by most users for quality images, even if it is not surprisingly sharp. Most importantly, the lens itself is small as well. Vloggers who don’t like heavy equipment or those who travel can consider the M6 among the top priorities. Another interesting camera feature comes with dual pixel autofocus. This is then paired with focus peaking. This function is one of the best features, especially for new vloggers who might not master the art of in-focus images from the start. These focusing features are based on the new Digic 7 processor. This processor is fast, as expected. It can also signal what Canon can offer in the future with their mirrorless range. Additionally, vloggers can use the lateral mic input to capture audio while on the road. Of course, at times, the external microphone can actually block the flip-up screen. It is why some users have started looking for alternatives in order to still see the screen while shooting. One of those alternatives is a lateral microphone which can be found on the long list of compatible accessories of the camera. But the M6 is also improved over the M5 when it comes to the flip screen. The M5’s screen was actually flipping downward. This upgrade has also meant Canon had to say goodbye to the electronic viewfinder. At the same time, the camera can come with some limitations. Online discussion forums are torn between the video capabilities of the camera as they don’t include 4K images. Another possible limitation comes with lens selection. Of course, Canon is still new to this side of the market. But some users might want to see a greater selection of quality glass with these mirrorless releases from Canon. Otherwise, the camera is affordable. It can also be a future-proof purchase when it comes to connectivity. Canon has designed it with built-in WiFi, NFC and Bluetooth technologies. Sony is one of the names in the industry with a high potential for innovation. The a5100 might have been released back in 2014, but it is still a camera which can be used today. With a weight of just 382g, it can be one of the compact solutions for travel vlogging. In the pack, users usually get a standard kit lens as well. The camera comes with a zoom range between 18 and 55mm and it represents an interesting choice when it comes to overall versatility, as expected from most kit glass selections. As with most mirrorless cameras, there is no actual focus ring on the zoom lens as it is mainly done through the camera’s menu. Even with a compact design, the camera still has plenty of added features such as dual microphones. Situated at the left and on the right side of the flash, the microphones can be used for video recording with good quality for YouTube. These microphones are also located close to the flash release button. Users can appreciate the added resistance of the flash when being pushed back into position. The back of the camera comes with intuitive buttons. Similarly to some professional cameras, there is a scroll wheel added as well. This simplifies menu navigation. The sides of the cameras are used for grip and to hide connectors such as the micro USB slot and the SD card slot. A micro HMDI port is also added so that the camera can be connected to the TV. When it comes to battery life, the camera does not excel as it can handle around 400 actuation or 75 minutes of video recording, which should be enough for online vloggers. This is also coupled with the flip up screen which allows vloggers to easily film themselves with no extra help. When it comes to the downsides of the camera, there are a few issues to consider. One of the possible problems which are overlooked as users don’t get to live with the camera day in and day out is its small size for some hands. The issues this creates is simply that having large hands can sometimes accidentally trigger the controls on the back of the camera. But there are plenty of positives to turn to as well. For example, video recording comes in XAVC S, AVCHD, and MP4. These file formats allow recording at either 24p or 60p. At a bit rate of 50 Mb per second, the camera has a higher bit rate than most of its alternatives, especially at this price point. In the real world, this equates to quality videos for online use. Of course, there are many other features to consider as well with the camera. For example, it comes with WiFi connectivity even if it is an older release. But most importantly, users need to determine its functionality in the real world. With a compact body, it is clearly made for extra portability. Launched in 2016, the Nikon D5600 still has one of the best APS-C sensors in its class. The DSL has impressive potential even today, both for stills and for videos. The 24.2 Megapixel sensor comes with full HD video quality. It might not offer 4K recording, but it can be a sensor which has access to a wide range of lenses. Even used for cinematics, the camera is capable. Of course, it is recommended to use one of the AF-P stepping motor lenses for a smoother focus system with low noise. Being a reliable DSLR, the camera can easily be used to show RAW files as well. Vloggers can use these files to make better edits. But for vlogging purposes, the camera can be a bit large. However, using a bending tripod can make the camera more practical. One of the best reasons to stand behind a possible D5600 purchase comes with low light performance. It is actually hard for any budget DSLR to compare to the camera from this perspective. Vloggers who want to shoot all day can do so, mainly by using multiple batteries and based on a good low light performance. Furthermore, those who only want to use the camera for stills can take up to 970 shots on a single charge. Of course, there is an adjustable screen which comes with the camera. It can be used to film from various angles. While the Nikon camera has built-in mics, they might not be the best for sound quality. An external microphone can be used for improvements in this area. The large selection of lenses is where the sensor can truly show its capabilities. While the kit lens is fine for general work, vloggers can use various lenses for more detailed work and for different shooting styles. A fast prime lens such as a 50mm from Nikon can be great for portrait work and even for video recording. Wider options such as a 35mm can be used as a great travel companion. But the access to quality constant aperture zoom lenses from Nikon is laudable. Users can also take advantage of some of Sigma’s latest Art series lens which is compatible with the D5600 as an alternative. All lenses with autofocus capabilities can work well on the camera. There are 39 autofocus points on the camera which are considerably more than those on the D3400. Other improvements also include WiFi capabilities, which make the camera an up to date solution from Nikon. The 4K burst mode records at 30fps. It is recommended for a fast frame rate in order to capture every moment. The 4K pre-burst mode works by recording up to one second before and one second after pressing the shutter. It records 8Mp pictures at 30fps. The 4K burst S/S allows users to select a certain frame from the video which can then be saved as a picture. The video capabilities of the sensors are coupled with an interesting Leica lens. Panasonic used a super-zoom lens on the camera. This type of lens is known for its far reach when it comes to zoom capacity. It comes with a zoom range between 25 and 600mm. This type of lens can be used for self-recording such as vlogging and even for reaching subjects at a distance. Surprisingly, the lens also offers a constant f2.8 aperture. With chromatic aberrations control, it can easily be used on various high-quality images and on even on some prints. Other camera strengths include fast focusing capabilities. Accurate autofocus is possible in some low light scenarios. Panasonic also included WiFi technology which can be helpful for bloggers on the road or for those who love to edit their work on a smartphone or on a tablet. 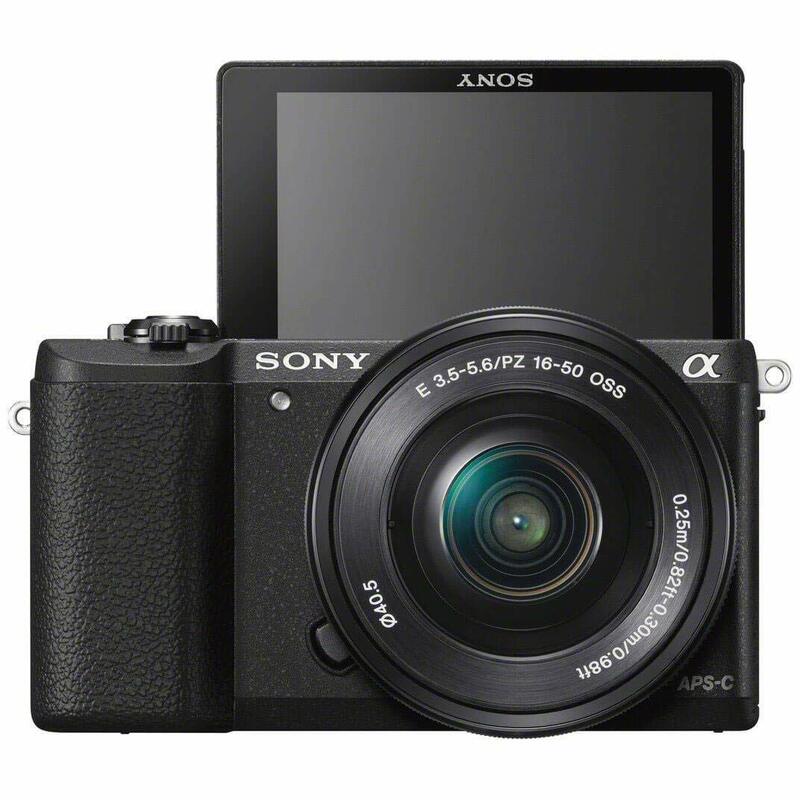 The Mark IV of the Sony RX100 is part of an appreciated series of pocket cameras. With such a compact design, the camera has 4K video shooting capabilities. Based on a 1-inch 20.1 Megapixel sensor, the camera comes with as a worthy upgrade for fans of the series. It is also paired with a 24-200 Zeiss Vario Sonnar T lens. Sony also made the camera record 4K video at 30 and 24 fps. These are offered with Sony’s XAVC S format for recording high bit rates of up to 100 Mb/s. 14-stop dynamic range is offered to increase grading control in the shadows and mid-tones. But users can also focus on speed. In full HD, the camera can record at 120 fps. With an added flip screen, the RX 100 is also easy to use. Of course, the smart remote control can also be used to trigger the shutter. However, since the camera is small, it is important to consider its limitations. 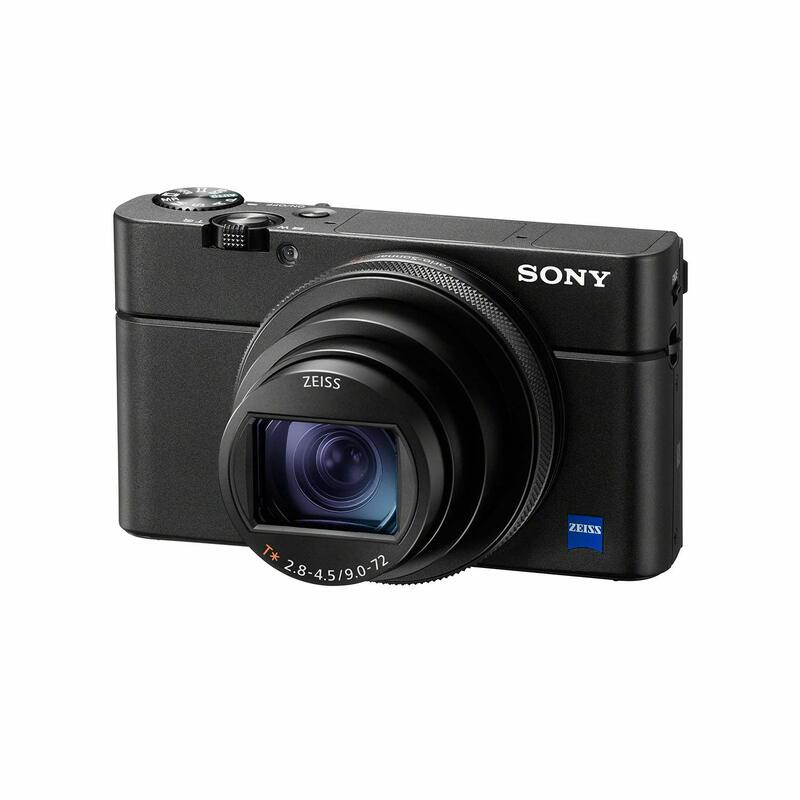 Its compact size means it only comes with a small flash, which is not particularly powerful in open spaces. It also comes with a small battery which means the camera is not used for all-day recording. But there’s also a small pop-up electronic viewfinder added by Sony. Vloggers might find the camera useful when it comes to fast focus speeds, however. With face recognition and fast response, it is a camera which can be easy to use while vlogging. When it comes to upgrades over the 5th mark, the camera comes with impressive screen functionality. If both the 6th and the 5th release come with a flip-up screen, the latest version also offers a flip-down function up to 90 degrees. It can be useful when taking pictures of food. But the screen’s functionality can also be recommended for shorter vloggers. Released in 2016, the Lumix G85 DSLR can be an alternative to Canon and Nikon cameras. It has a 16.84 Megapixel sensor with a Supersonic dust reduction filter. Its data is recorded on SD, SDHC, and SDXC memory cards. When it comes to video quality, the camera comes with 4K capabilities. The video files can be saved as MP4 or AVCHD. Of course, these file formats mean that the maximum recording time is different as well. For example, 4K 30p and 25p files offer up to 90 minutes of continuous recording time compared to the 120 minutes of the HD AVCHD files. The lens is not bad either. It comes with 2-axis images stabilization. This is coupled with the camera body’s 5-axis stabilization to achieve clear images. The kit lens is a bit wider at 12 mm making it great for landscapes. But it can also be zoomed in up to 60mm when portrait-style images are needed. Buying the first vlogging camera with a flip screen can seem like a complex task. But since there are so many inspiring cameras to consider, this should be seen as an opportunity to learn more about vlogging through all the characteristics of the cameras. Sensor size Sensor size is important for image quality and depth. The standard 1-inch sensor is seen on many vlogging cameras. Alternatives such as the APS-C sensors are great when it comes to low light performance and general image quality. Sharpness can be influenced considerably by other elements such as optics. Body size If a flip screen is seen as a practical solution, the body size of a camera is certainly an aspect vloggers consider. For example, holding a heavy camera might not be possible for long periods of time. It is why many vloggers stay away from professional DSLR cameras due to their weight. Lens quality Lens quality can be great with some compact vlogging cameras. The Panasonic Lumix DMC-LX10K comes with a Leica lens known for its optical quality. The Sony Cyber-shot DSC-RX100 VI comes with Zeiss optics. At the same time, DSLR cameras have their own brand lenses such as those made by Canon or Nikon. Aspects such as depth of field are also influenced by the lens choice. Autofocus Autofocus is crucial with fast-moving subjects. Vloggers might only be filming themselves, but at times, they might even want to film other subjects which can be moving. The subjects are in focus when the autofocus points of the camera properly detect it. 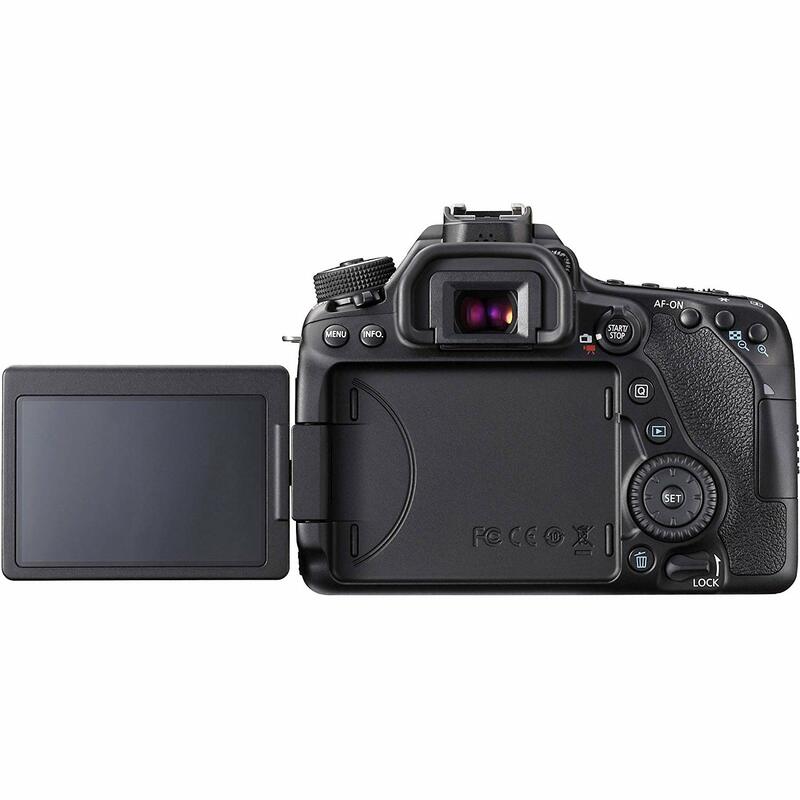 The Canon EOS 80D comes with 45 cross-type focus points recommended for most subjects. However, many mirrorless cameras can match and even outperform a DSLR in terms of autofocus points. 4K and full HD considerations Not all cameras with a flip screen come with 4K video capabilities. Some cameras only offer HD video recording. It is why buyers should assess whether they truly need 4k video recording capabilities. One of the good news from this perspective is that even affordable compact cameras can come with 4K features. However, users should be ready to deal with larger file sizes as well. Battery life Battery life is crucial, especially while on the road. Regardless of the type of camera, many dedicated vloggers carry at least one additional battery with them at all times. This saves them from unwanted situations, especially with fast battery-draining 4K video recording. Microphone input Microphones might not be high on the list of priorities when purchasing vlogging cameras, but they are very important. Even the best built-in microphones can’t be as reliable as dedicated microphones. It is why dedicated vloggers use external microphones to get clear sound. This raises the issue of a mic input. Not all cameras have this input but it should be a top priority for most users. Flash options Similarly to the added microphones, an external flash might also be needed when taking pictures. Some compact cameras have poor flash performance, an issue mainly down to the physical size of the flash. A hot shoe is recommended for external flashes and their role can prove important in low light situations. WiFi connectivity Most vloggers live online on platforms such as YouTube or Vimeo. Getting images quickly downloaded from the camera is a priority in order to publish them as soon as possible. Video transfers might even last longer due to the larger file size. But built-in WiFi functionality proves to be very practical, especially while on the road. It allows all cameras to connect to a local network and to reduce the need of actually having to physically remove the memory card to transfer the data to a computer. If you have further queries, feel free to check the frequently asked questions below. Why would I purchase a point-and-shoot vlogging camera? A point-and-shoot camera is easy to use. It comes with many automated settings. It is also compact in many cases. From the perspective of a vlogger, this type of camera would be recommended in situations where there is no time to make adjustments and where the camera instantly makes them for the user. Why would I purchase a mirrorless camera for vlogging? Mirrorless cameras have considerably improved over the years. Sony and Canon offer excellent mirrorless cameras for vlogging. At the same time, mirrorless has a few distinct advantages. Since there is no actual flip-up mirror, these cameras can be smaller compared to a DSLR. At the same time, there is no direct correlation between how these cameras perform with their smaller size. In many cases, such as with autofocus, they can even outperform a traditional DSLR. Why would I purchase a DSLR camera for vlogging? A DSLR is the classic way of dealing with all things related to images. They are used by professionals and they usually come with multiple image settings which give the user larger freedom of movement. Quality sensors are used in these cameras. Even more, it is also true that DSLR cameras have access to quality lenses. Manufacturers such as Canon and Nikon have a large number of possible lenses to consider. Vloggers who use DSLR cameras can be inclined towards the ultimate video customization options. Vlogging cameras are now better than ever before. They are smarter with technologies such as WiFi and Bluetooth. They come with fast focusing and sometimes even with great lenses. Vlogging cameras should be easy to use and simple to transfer your videos from the storage to your editing software. A complicated camera will only distract from actual vlogging. In the end, it is a tool to tell stories. Since every blogger is different, the characteristics listed above have different degrees of urgency in each situation. For example, those recording outdoors might need a better microphone than a simple built-in camera microphone. Those traveling to different places might need a quality sensor to make the most of low light shooting. However, all of these characteristics should start by actually setting a realistic budget for the purchase.